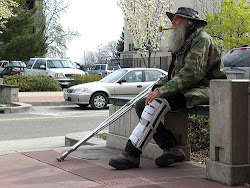 Redding Homeless Blog: What are you doing for Global Homeless Day 5/5/19 ? 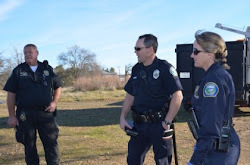 We are against practices and laws that unfairly single out homeless people and criminalize them for everyday living and life-sustaining activities. What are you doing for Global Homeless Day 5/5/19 ? Would you like to draw attention to the problems homeless and poor are suffering in your area and give homeless people a voice? Would you like to help ? What can Celebrities, Politicians, Church’s, Schools, Youth groups, Businesses and others do ? *Please SHARE this page on Facebook, Twitter, and ALL social media ! *Ask your local Television, Radio, and Newspaper's for coverage of your local Global Homeless Day events highlighting your favorite homeless cause or charity! *Get Involved ! E- Mail this page to ALL YOUR FRIENDS ! *Feel free to use the Global Homeless Day globe logo image, Help make this yearly event a stunning compassionate success ! Promote your favorite non profit or charity or start your own grassroots homeless charity day by volunteering and hosting a Global Homeless Day 5/5/2019 event ! Get The Government Involved – Protest politicians criminalization and police brutality against poor and homeless, Homelessness is not a crime ! Rally !! Use your Imagination ! Painting, Music, Photography, Poetry, Writing and blogging. Celebrities, musicians produce a Global Homeless Day YouTube Video ! Please join homeless, hunger, and poverty advocates and activists from around the world every May 5th as we promote Global Homeless Day ! Here you will find the most up to date information and news on Global Homeless Day. Let us know what you are planning in comment section. What are you doing for Global Homeless Day 5/5/19 ? Here you can post your event, charity, food drive, etc. Use hashtag #GlobalHomelessDay then the Global Homeless Day team will assure it will receive MAXIMUM ONLINE GLOBAL VISIBILITY ON TWITTER AND FACEBOOK ! Use this code to put a Global Homeless Day Button on your Site ! 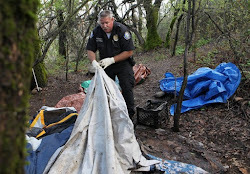 Homeless Advocate interested in the Constitutional and Civil Rights of those in extreme poverty in Redding and Shasta County California. Can't you smell that smell ?